A landscape is a collection of companies you analyze together. Learn how to set one up and get a few ideas for landscapes to build. Your account contains a set of market landscapes. 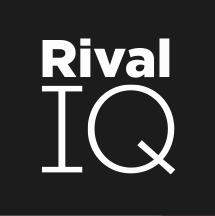 Each landscape is a collection of companies, competitors, or influencers you want to track for competitive or comparative analysis. Use the + button next to the landscape selector in the top left to create a landscape. The first company you add will be known as the Focus Company, which means reports in this landscape will be focused on this company. You can switch the Focus Company at any time. We recommend adding at least 3 additional companies to the landscape to ensure meaningful comparisons and landscape averages. Once you click “Done adding companies”, we'll create your landscape and ensure as much as is loaded as possible. Here are few landscape building tips. You can track the same company across multiple landscapes, and your account will only be charged for using one company. You can track a company’s presence throughout different geographical regions (ex. us.coca-cola.com, coca-cola.co.uk). Each regional presence should be added as a separate company record. You can edit, add, and remove any of the companies in your landscape from the Landscape section. Hover over the checkmark icons in the company matrix to review the handles we found. To edit the social channel, click “Edit” in the popover. To remove the company from the landscape, click the "x" under the company name. In the Landscape section of your account, use the Actions dropdown to make changes to the current landscape. 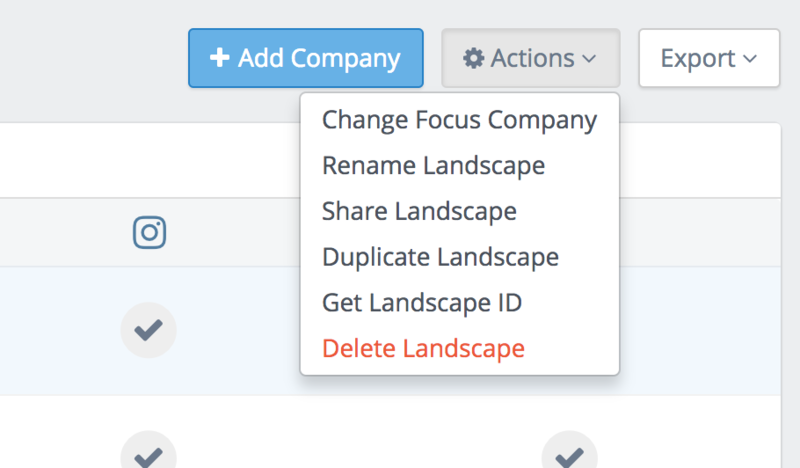 You can change the focus company, and rename, duplicate or delete the landscape. By Competitor - add at least 3 competitors. If you add many competitors, consider using Tags to create additional filters for your Landscape. By Division - your company may have one or more divisions - use a Landscape to track all the divisional social pages in one place. By Country - your company may have operations in multiple countries - use a Landscape to compare each country, or create a separate Landscape for each Country operation. By Social Role - your company may have more than one social handle for a digital channel. 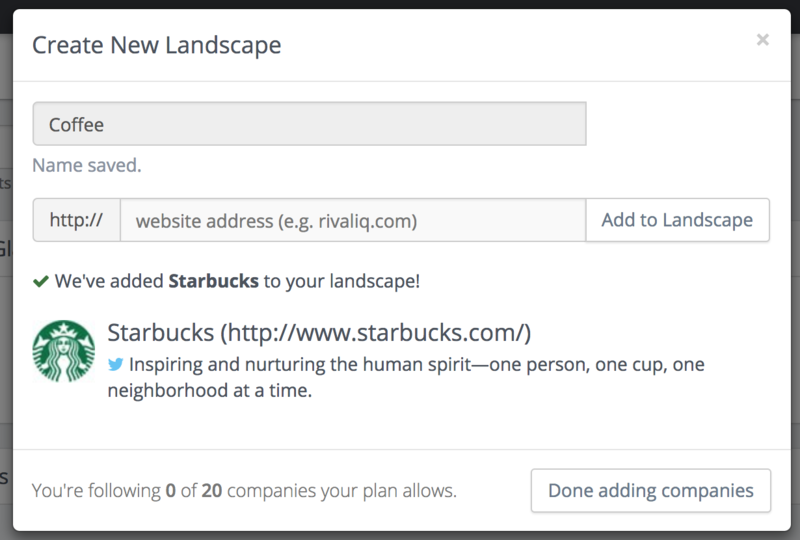 Add specific handles owned by the same company to compare them as stand-alone companies, like http://twitter.com/starbucks and http://twitter.com/starbucksnews. For Influencers or ambassadors - To track the social contributions of any influencer programs you're running, build a landscape of your ambassadors. Set up saved search queries in a custom dashboard to simplify your tracking and reporting.